The commonly used chemical polishing methods are acid polishing and electrolytic polishing, both of which are similar in effect. Because the electrolytic polishing environment is better, some manufacturers are also using it, but the energy consumption and the cost of electropolishing are too high, and the quality is not stable enough, so the use is limited. In recent years, due to acid polishing bath composition analysis method has made a breakthrough, the bath composition (including Cu2+, Al3+, SO2-4, PO3-4, NO3-, H2O etc.) can be accurately measured, the quality of polishing process and polishing aluminum acid has good control and stability, so three acid polishing process most manufacturers of all ages. Acid polishing is the most important process in the production of polished aluminum. 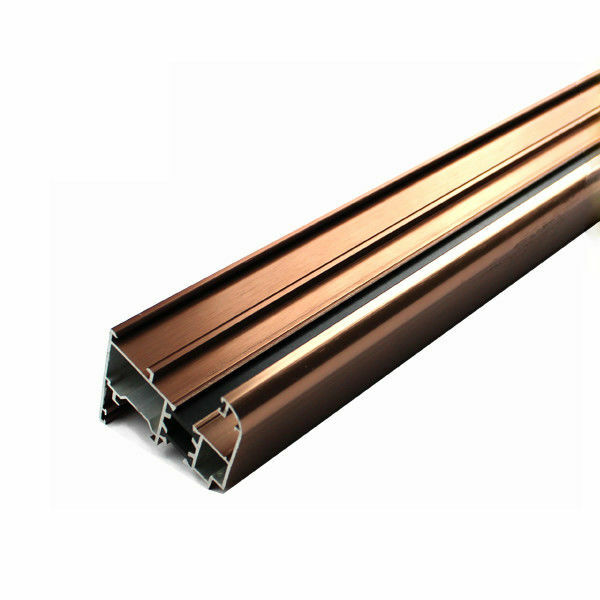 In order to obtain stable high brightness and less defects, the polishing process must be strictly controlled. 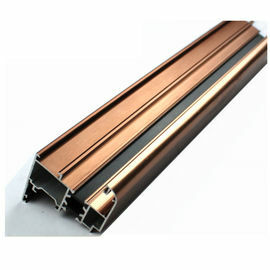 H3PO4 is the main polishing bath, the viscosity effect of aluminum formed on the surface of the mirror effect, the higher the mirror effect is more obvious, because the content of H3PO4 is the key factor to maintain the polishing brightness, general production requirements of H3PO465% (weight percent, the same below). In the initial stage of the tank, the concentration of H3PO4 is more easily controlled than 65%. With the increase of Al3+ and impurity content, the concentration of H3PO4 is very difficult to meet the above requirements, when the Al3+ reaches the maximum, the concentration of H3PO4 will be reduced to about 55%, affect the polishing effect, this can increase the proportion of H2SO4 or improve maintain bath viscosity. Therefore, it is necessary to make scientific management of the routine maintenance of tank fluid and reasonable update of bath fluid, so as to protect the stability of the casting process. HNO3 is the main component of directly involved in the reaction, the content must be strictly controlled, is generally 32~37%, HNO3 concentration is too high, it will produce a large number of tobacco, and the reaction is too intense, it is difficult to control, easy to produce sand and dry abrasion marks, HNO3 concentration is too low, it will not reach the best brightness. H2SO4 regulating and buffering effect in the bath, in the groove period, H2SO4 content can be very low even without H2SO4, with the increase of Al3+, polished aluminum surface will appear flow marks, then you can solve this problem by adding H2SO4. In general, when the Al3+ concentration is 20~40g/L, the H2SO4 concentration is controlled at 9~13%. When the concentration of Al3+ is low, the H2SO4 concentration is lower than that of H2SO4. When the concentration of Al3+ is high, the concentration of CO2 is lower than the upper limit. Al3+ is a by-product of the acid polishing process. When the Al3+ content is low, it can buffer the reaction speed and make the reaction easy to control. When the Al3+ is higher than 20g/L, the viscosity of the liquid will increase, resulting in a flow mark defect, and a series of problems, such as increasing the viscosity and increasing the yield, resulting in an increase in the cost. When the content of Al3+ is higher than 45g/L, the crystallization will be produced in the bath, and the quality of the product will be affected. 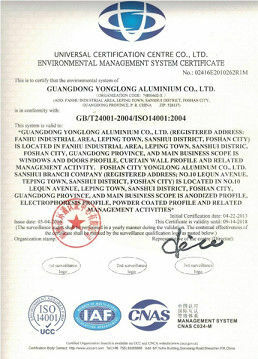 Therefore, Al3+ 40g/L is generally required, and the production can be brought out through aluminum to reach this balance. The addition of Cu2+ in the acid bath improves the brightness of the polishing. Generally, the addition amount is about 15g/L. Excessive production can cause difficult cleaning and a little concave point. (1) Pre-processing. Pretreatment prior to chemical polishing is essential for improving polishing quality and reducing defects. First of all, in addition to oil and wax removal must be thorough, for the removal of polishing wax, generally use organic solvent treatment, and then ultrasonic effect is better, ultrasonic costs are too high, it is difficult for general manufacturers to use. General degreasing, as far as possible do not use fluorine containing oil removal agent, otherwise it will make aluminum surface brightness decline, especially for mechanical polishing products is especially important. In addition to the concentration of degreasing agents, the temperature of the oil tank is also very important. In winter, the oil tank must be properly heated to ensure that the temperature is above 30, in order to achieve good results, to avoid defects in the polishing tank. After removing the oil wax, the liquid on the aluminum surface should be evenly covered with non stick water droplets, especially the lump or spot wax residue in the local area. Second, there must be slight over alkali and neutralization. In this way, the surface clean, activated and homogeneous billets can be produced without any sand or pitting corrosion in each of the preceding processes. (2) Oxidation and sealing. Oxidation process is the most severe extinction polishing process of products, general products to ensure the products with low brightness film thickness (5m), strictly control the oxidation process can minimize the degree of extinction film, such as Al3+ should be controlled below 10g/L, the current density control in 11A /dm2, the oxidation temperature control in 22! 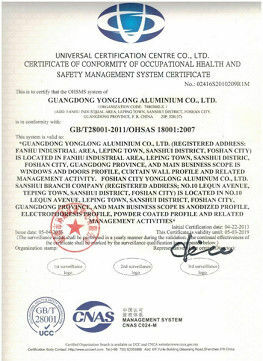 So can obtain higher transparency film. Secondly, the sealing process has great influence on the extinction of F-. For high grade mirror products, it is recommended to use non fluoride sealing or high temperature boiling water to seal the hole.